Jonathan is a spy with a code implanted deep in his subconscious, so deeply he can’t remember—anything at all. Anton is an interrogator intent on retrieving the code, whatever the cost. But sometimes they dream of dark tunnels and locked-up rooms, and then they both scream. Along comes Harry, who seems to have all the answers…but who is he, and which side is he on? Last Dance of The Sugar Plum is an exciting spy thriller with as many twists and turns as a maze. I am pretty sure that Last Dance of The Sugar Plum is one of the strangest books I've ever read. 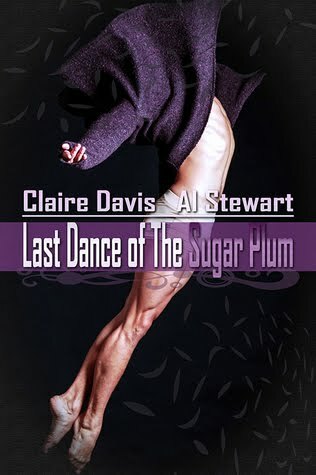 I knew before that Claire Davis and Al Stewart were insanely talented story tellers, and Last Dance of The Sugar Plum shows off their mad skills in spades. The story is full of twists and disjointed imagery, in the form of flashbacks and memories, both real and fake, and it kept me guessing until very close to the end. I did figure out who 42 and 19 were before the reveal was made, and I had my suspicions about Harry, but was not sure until pretty late in the game. Last Dance of The Sugar Plum was a suspenseful, twisty-turny mind-f&%k. I'm not really sure what to say about the story without offering up spoilers, which I don't want to do. It, overall, wasn't really my cuppa, but I do like a story that is actually successful at keeping me guessing, and this one certainly did that. Last Dance of The Sugar Plum is very different than anything else I've read by these authors. It didn't read like a romance novel, though I would definitely say there was romance between the main characters and I was very satisfied by their HEA. This story danced to a different rhythm, though. And though I liked it, it isn't a story I will likely read again. 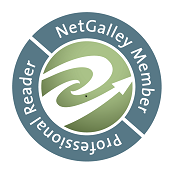 ARC of Last Dance of The Sugar Plum was generously provided by the authors, in exchange for an honest review.